Do you want to create or participate in a blog hop? 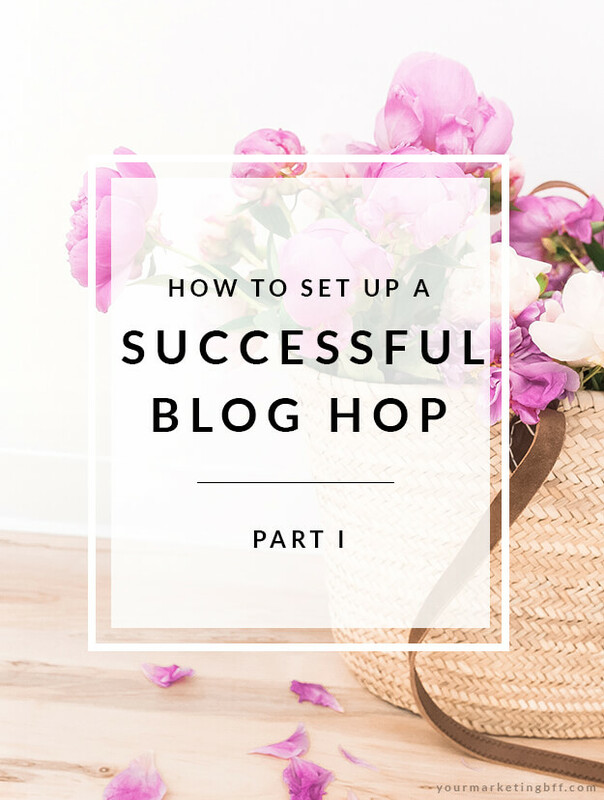 Today I’m going to walk you through the key aspects of how to set up a successful blog hop. Then next week (Part II), I’m going to walk you through the exact process I go through in hosting a blog hop; with stages, timeline and email templates you can swipe/copy! Some blog hops are known as ‘open’, where you are free to join by entering your information into the link up list (before it closes). Here’s a real life example on Modern Glam’s website called Friday Friends Parade (and me linking up before it officially closes). Other blog hops are known as ‘closed’, where people are asked to participate ahead of time. Everyone in the closed group goes live with their blog post at the same time. 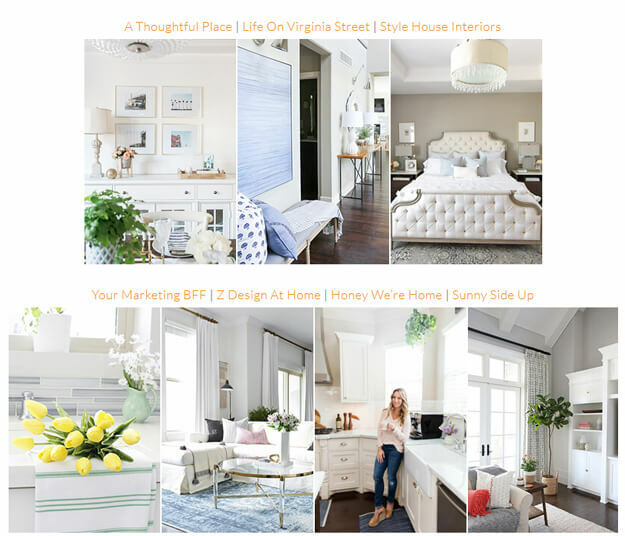 Here’s a real life example of a closed blog hop called Decked and Styled Spring Home Tour consisting of myself and six of my blog friends. 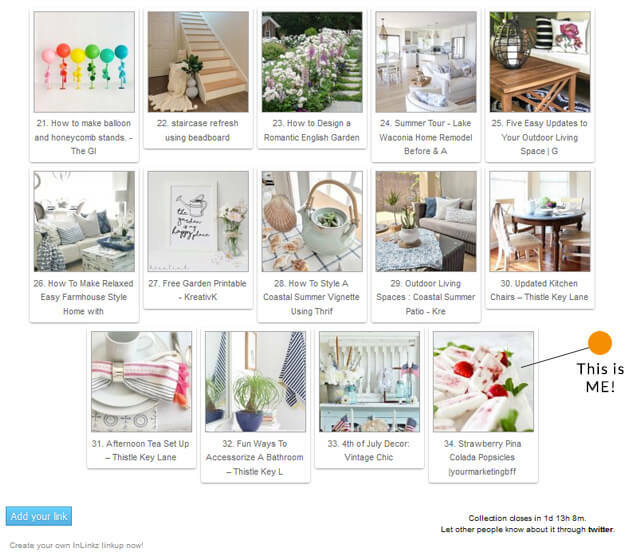 Note: The open blog hop has a button to join/add your site to the hop before it closes. The closed blog hop is not open to other participants joining – it’s a set, pre-determined blog hop group. Why you should set up or participate in a blog hop? It’s a great way to GROW YOUR BLOG traffic!!! I participate in a few open blog hops, like the Friday Friends Parade, because it exposes me/my blog to prospective new followers AND the extra bonus is (with this particular blog hop) that the following week the hosts might select my entry to feature on each of their blogs. Friends, this is FREE exposure and traffic to your blog! And it takes less than 1 minute to link up. 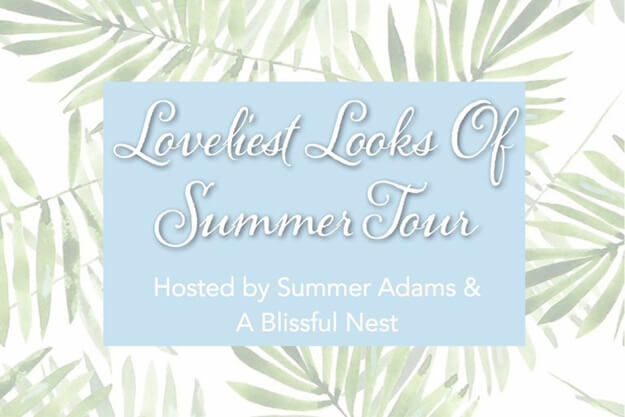 The purpose of not only hosting but also joining a blog hop is to create relationships with other bloggers, to meet and interact and ultimately grow your blog through these new relationships. A closed blog hop really fosters this type of deeper blogger to blogger relationship! Now that you know what a blog hop is and what a great strategy it is to GROW YOUR BLOG, let’s start laying out the key foundational aspects of a successful blog hop. Set a day and time. You’re going to set a day and time for the blog hop to go LIVE. Note: clearly state the time AND time zone that all participants will be following! Determine email schedule (for closed hop). One you’ve finalized a day and time, you can determine your communication email schedule. Next week I’ll be showing you these emails, but for now simply understand the process! Initial email. This contains the instructions, participants, rules and deadlines. Reminder email. This should go out about a week prior to the actual live post date. Email to participants that have missed the submission deadline to the host. Final Link email. A day or two before the blog hop post goes live you’ll be emailing all participants with the groups links and/or preview images. Nail down participants. For a closed, choose the number of participants you’d like to invite. Note: Most successful blog hops tend to have no more than 8 participants! Honestly, who has time to visit more blogs than that?!) For open, choose the number of co-hosts. A link up strategy. For a closed, you can do a list of linked blog names (seen HERE, scroll to the bottom) or a collage of preview images (seen HERE, scroll to the bottom). For open, use a WordPress plugin tool like EZ Inlinkz (seen and explained in this blog post HERE). Note: I’ve found the most successful blog hops have a combination of linked blog names along with a collage of preview images (seen HERE, scroll to the bottom). Keep “Rules” minimal. Too many rules equals not a lot of fun, plus hard to make sure you’re doing ALL of them! Promote. For closed, it’s always good within the post itself to welcome readers to your blog from the person ahead of you in the blog hop and the person who follows you in the blog hop loop. On the day that the hop goes LIVE announce the blog hop on your social media channels (like Instagram, IG Stories) and your email subscriber list. Note: Successful blog hops keep the promotion going for days. I’d suggest sharing one of your own images on Instagram on the day of the post going live, IG share the persons image before you in the tour on the following day and share an image from each of the participants on Instagram stories within the next couple of days. Visit and Comment. It’s always good to comment on participant’s posts and/or guests of the hop party! Not only does this increase each participant’s traffic numbers, it is also EXCELLENT for SEO. Select a #hashtag. This can be fun to go along with your hop, especially when sharing on IG. This is also great if it’s an on-going, weekly blog hop as is the case with Friday Friend’s Parade. FUN + TRAFFIC + SEO Benefits + GROW your blog = DO BLOG HOPS!!! Next week on How To Set Up A Successful Blog Hop – Part II, I will go through my EXACT blog hop process; with stages, timeline AND email templates that you can swipe (aka copy/paste). Stay tuned! I was so excited to read this post and I am eagerly awaiting your next one! As a new blogger, I have wondered how the groups come together and how one would join such groups. I enjoy doing the linky parties, especially because you also find other great inspirations. Great stuff Tana!! THANK YOU! I am pretty organized, haha. It just makes things smoother for everyone involved and tends to bring more success (in traffic numbers for the bloggers) and great reader ‘loop’ experience! I’m with ya Samantha! The readers love it and the bloggers participating enjoy it too… everyone wins in a blog hop! I definitely want to try this. I knew they existed but I didn’t understand how they start and operate. Great post!